I've been meaning to post this for a while now and just never got around to it. 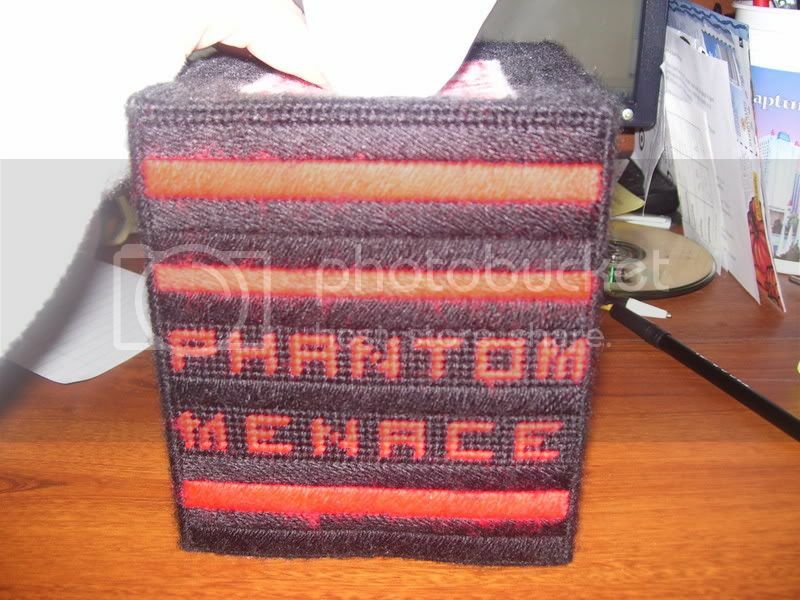 When I was a kid in the 80s, my mom used to make plastic canvas kleenex boxes for me and my brother. 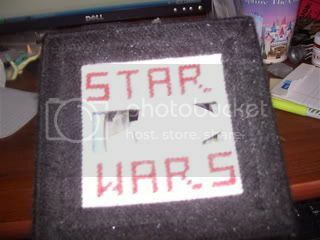 We had Pac Man ones and ET ones and Star Wars ones too. Well, a couple years ago my mom surprised me with a TPM one that I proudly display on my desk at home with all my other SW stuff, and I wanted to share it with everyone else on here. I've been pestering her ever since to make me five more, but she keeps putting them off. I just need to find good images for the rest like Maul's. 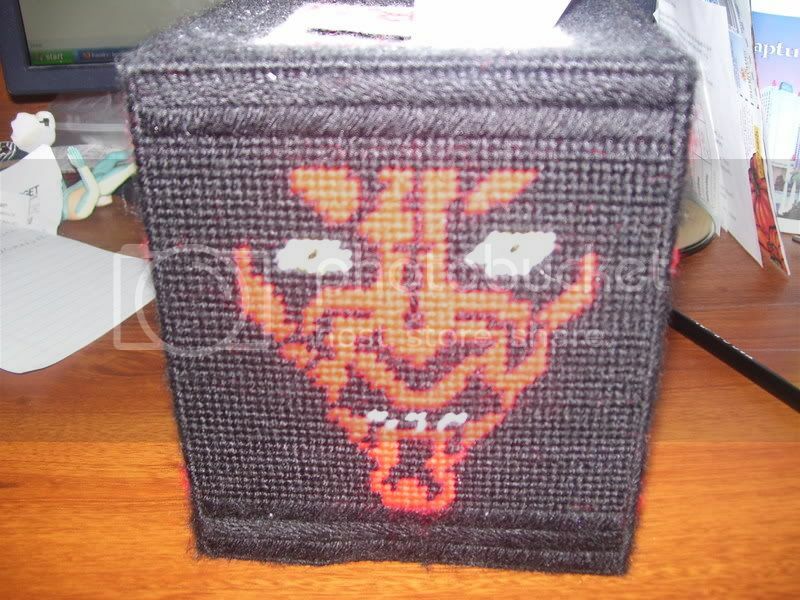 Did you use a pattern maker of some sort to plot out Maul's face, or was that done by hand? I have no idea, honestly. 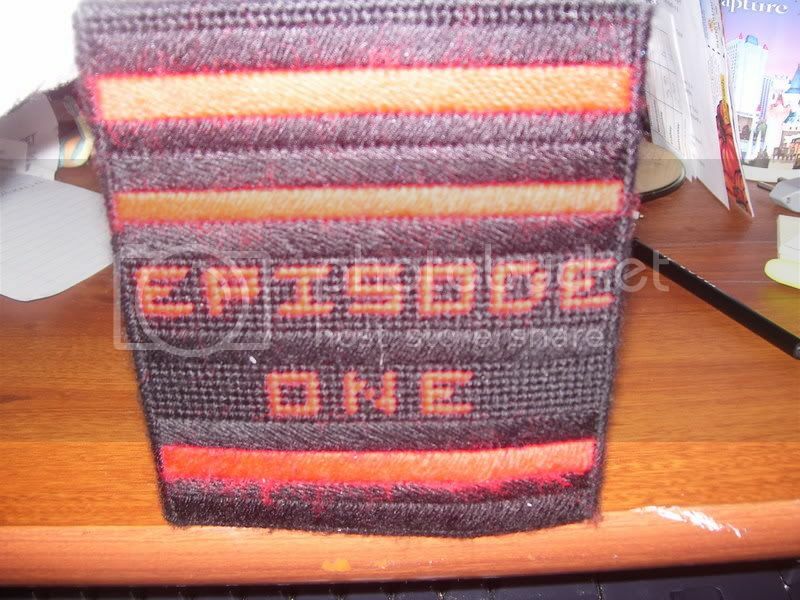 My mom did it for me, and although I would assume she used a pattern maker for Maul's face, I can't say for sure. I'll ask her though. She said she did it by hand.